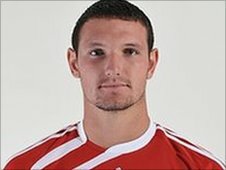 Swindon Town have agreed to sell defender Sean Morrison to Reading, BBC Wiltshire understands. The 20-year-old is set to formally join the Championship side next week. It is understood Morrison has exercised a release-clause in his contract at the County Ground triggered by Reading offering enough money. The Plymouth-born central defender, who joined from Argyle in 2007, has made 25 starts for The Robins this season, scoring five goals. He had been linked in recent months with Newcastle, Sunderland and Queens Park Rangers, but no bids were made. It is unlikely he will play for Swindon in Saturday's League One game against Yeovil.